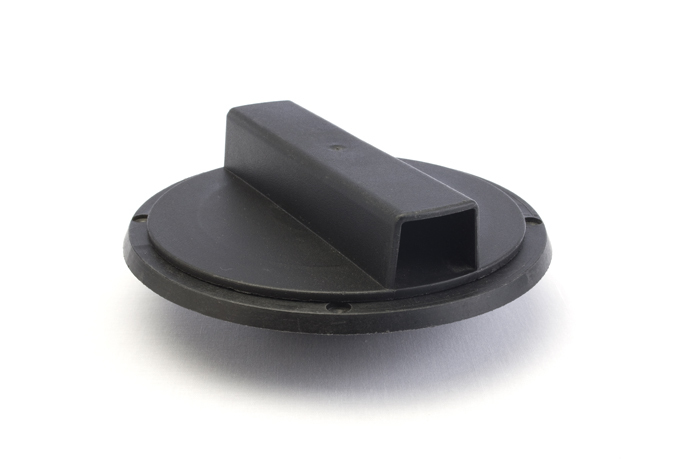 Plastic access lids for above ground tanks only. Lids are equipped with vented (double air breather) removable centerpiece. Downspouts can discharge into the center hole. 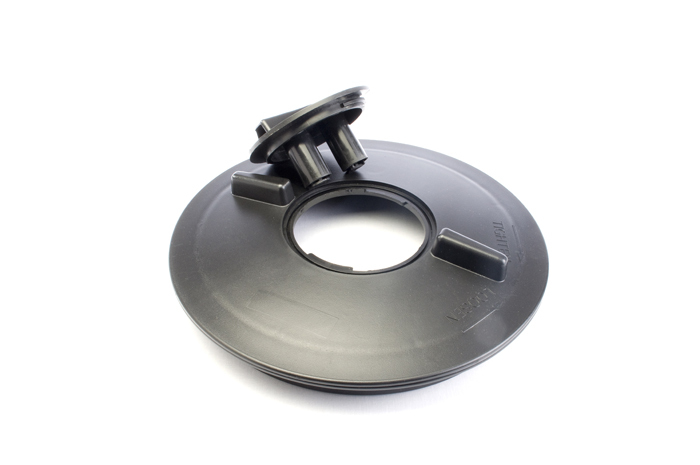 Leaf filter baskets can fit into the rim openings for 8″ 12″ and 16″ diameter lids. 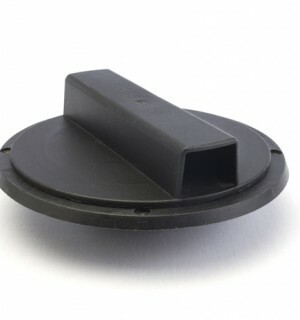 Non-vented (solid) lids are available but the tank must have a separate vent connection. 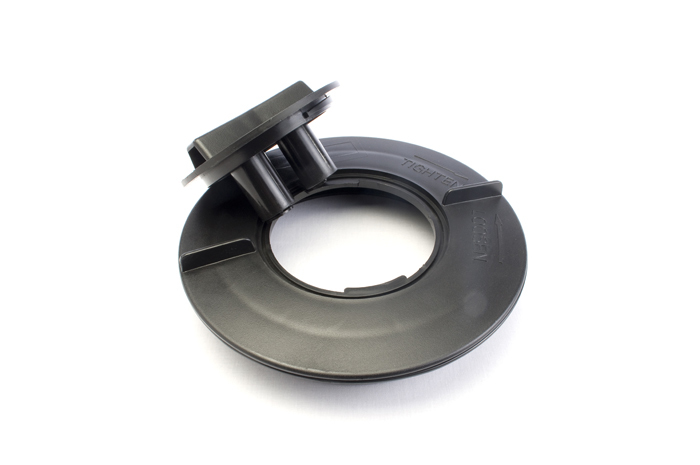 The most commonly used lid is the vented 16″dia. size. 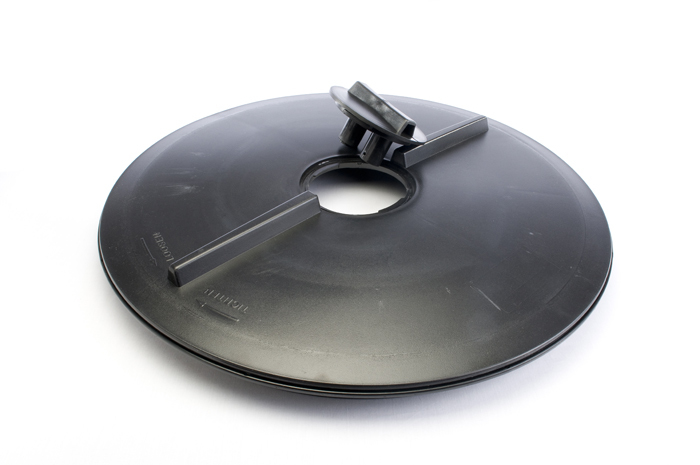 Access Lids sizes: 6″ 8″ 12″ 16″ 21″ Standard vented. Non-vented available. 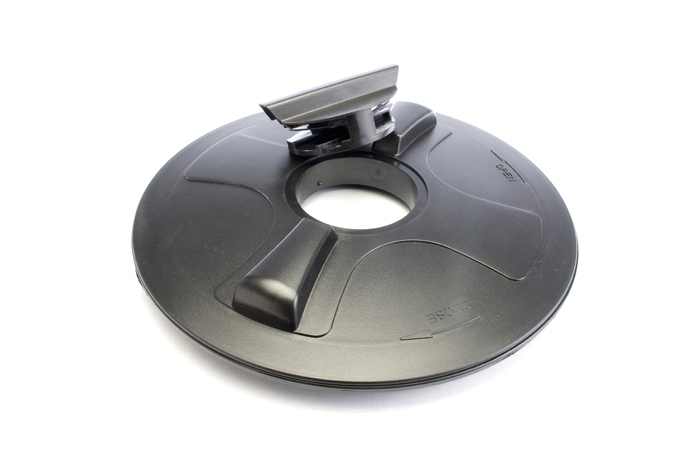 16″ Lockable Transport Lid.